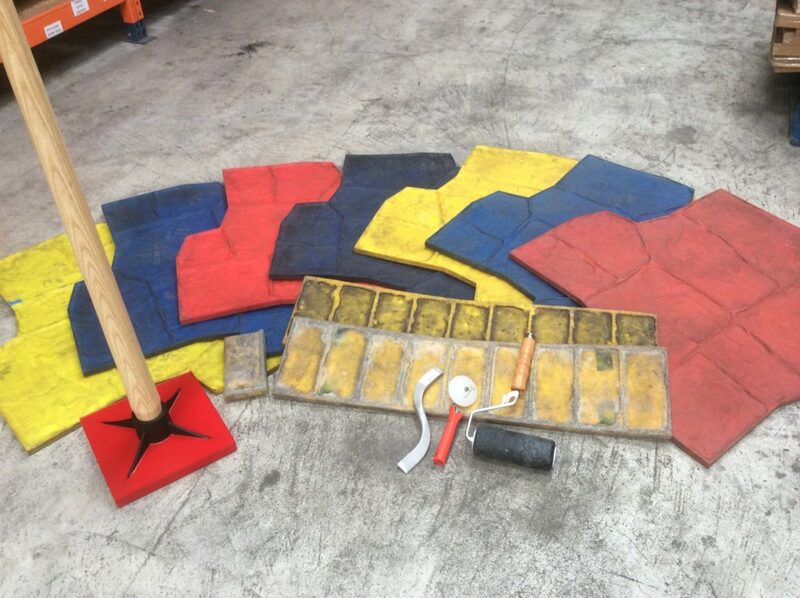 We have a large selection of mats for hire including circle designs, borders, soldier courses and texture skins. You can either collect or we will arrange delivery. At the end of the hire period just return to us or we can collect from you. A Tamper is also available to hire if required. To view our full range of Patterns available please go to our pattern page. If mats are required for more than 1 week or you hire a second set of mats a discount will be available. Price quoted for hiring does not include delivery or collection. Contact us for more information. Please note mats must be washed before returning.